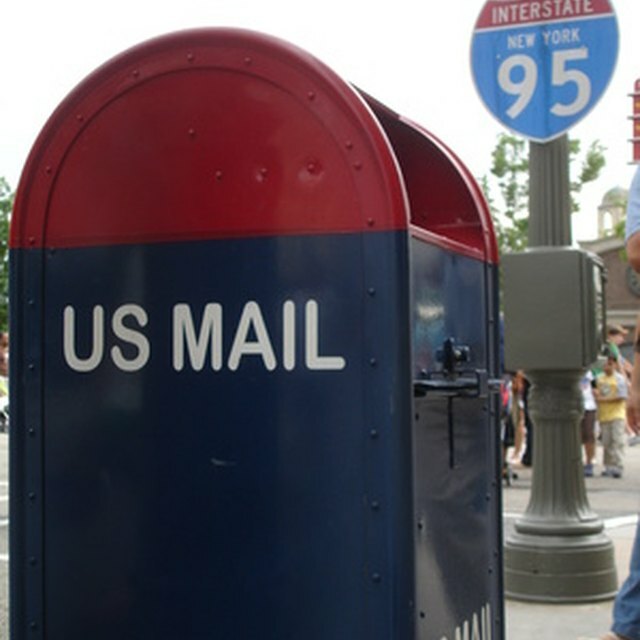 The United State Postal Service is responsible for delivering mail to 150 million homes, businesses and post offices. With a total of over 584 million pieces processed daily, comprehensive delivery policies are a must. Although they are known for their proficiency, certain conditions can delay or prevent the USPS from delivering mail. These include an unrestrained dog on the premises, extreme weather conditions or a full mailbox. If a piece of mail is delivered to the wrong address, the recipient should place it back in the mailbox or, if the mailman is available, communicate the error to him. If the address is correct, but addressed to someone who does not reside there, mark "Not at This Address" on the letter and place it in the mailbox or bring it to a post office. It is a federal crime to destroy mail that belongs to someone else. The USPS cannot quote a specific time for deliveries. The quantity of mail changes daily, which causes mail to be delivered at different times. All mail, however, should be delivered by 5 PM daily. For questions about mail delivery issues, there are several places to contact. The Delivery Supervisor at the local post office can provide support, as can the main USPS number: 1-800-ASK-USPS.